The Indonesian Council of Ulema signed a fatwa requiring the country’s 200 million Muslims to take an active role in protecting threatened species including tigers, rhinos, elephants and orangutans. 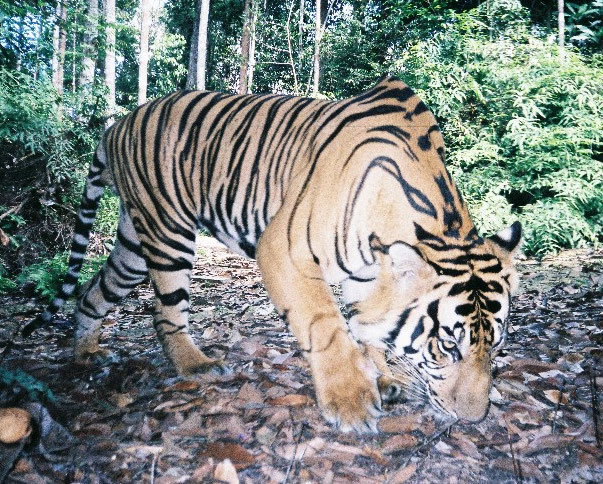 Jakarta, Indonesia – The Indonesian Council of Ulema (MUI), signed a fatwa or edict, on January 22, 2014 requiring the country’s 200 million Muslims to take an active role in protecting threatened species including tigers, rhinos, elephants and orangutans. The fatwa is the first of its kind in the world and it is accompanied by plans for education awareness programmes to help local communities put it into practice. The edict reinforces the Indonesian government’s policies on preserving and protecting threatened animals and is aimed at providing legal certainty on the question of Islam’s perspective on animals classified as “vulnerable”, “endangered” or threatened with extinction. “This fatwa is issued to give an explanation, as well as guidance, to all Muslims in Indonesia on the sharia law perspective on issues related to animal conservation,” said Dr. Hayu Prabowo, Head of the MUI’s Agency for Honoring Environment and Natural Resources, an agency established in 2010 with the aim of contributing to Indonesia’s environmental well-being. “Animals are viewed in Islam as being key parts of an ecosystem that in the end, also benefits the livelihood of human beings,” Dr. Hayu added. While not legally binding in Indonesian secular law, the fatwa is firmly based on Islamic Law and tradition and is binding within that context. It gives strong guidance to Indonesia’s Muslim population on how wildlife protection fits in with their core beliefs and values. The fatwa partly came about after a fieldtrip co-organized by WWF-Indonesia, UNAS (National University), and ARC (Alliance of Religions and Conservation – with financial help from WWF-UK), in September 2013. Muslim leaders of MUI visited field sites in Sumatra where there was human-wildlife conflict, and elephants being killed as retaliation. They also visited Tesso Nilo National Park in Riau Province (a rich biodiversity place in Sumatra home for critically endangered Sumatran elephants and tigers that has been facing huge threats due to illegal palm oil development, forest fires, human-wildlife conflict etc). During a community dialogue with village representatives, some of the villagers asked the Ulama; “What is the status of the animals like elephants and tigers in Islam?” The Muslim leaders replied, “They are creations of Allah, as we are. It is haram [forbidden] to kill them and keeping them alive is part of the worship of God.” When the Muslim leaders returned to Jakarta, they realized that many people around the country were looking for an indication on how to act with wildlife, so they began the process of creating a fatwa, or edict. The intention was to guide people to protect threatened species because it is the right thing to do and because it is the Islamic thing to do. The fatwa was developed by MUI in consultation with environmental activists and academics affiliated with the UNAS in Jakarta. This core group was quickly joined by the Director for Biodiversity Conservation at the Indonesia Ministry of Forestry, WWF-Indonesia, and the Indonesian Tiger Conservation Forum (Harimau Kita). ARC has been a key partner of UNAS. “For the next step, we need to help MUI disseminate the fatwa to remote areas where tigers, rhinos, orangutan, turtles, elephants and other threatened species live, working through sermons or preachers (what we call ‘Dai Konservasi’ or Conservation Preachers),” he said. WWF-Indonesia welcomed the MUI’s extraordinary move. “We hope that religious approach, like this fatwa, can support conservation effortsand promote conservation awareness to the public, especially Muslim communities so theybecome aware of the importance of conserving endangered animals,” said Anwar Purwoto, Program Director of Sumatra and Kalimantan for WWF- Indonesia. “We hope the announcement of this new fatwa in the most populous Muslim country in the world will inspire other fellow Muslims worldwide to protect threatened wildlife and their habitats. Often environmental issues are debated only in terms of economics. This fatwa reminds us that most people are motivated by beliefs and values, not just by money. It is an exciting and defining moment for both Islam and for the greater protection of God’s Creation,” said Martin Palmer, Secretary General of ARC. He said this was not the first time Muslims have made a strong, coordinated effort to protect their environment in Indonesia. “There have been several impressive initiatives, including in 2003, when pupils from 19 Islamic boarding schools (pesantren) managed to persuade the Indonesian Government to create a national park and in the process protect their river from pollution,” added Palmer.